Amid protests and controversy, young earth creationists build an enormous, $120 million, “life-size” Noah’s Ark in Kentucky with the specific aim of debunking the Theory of Evolution. They aim to prove the earth is only 6,000 years old and that the Bible is scientifically accurate. We Believe In Dinosaurs follows the building of the Ark from blueprints to opening day through the eyes of three Kentuckians: Doug, a gifted artist who creates lifelike animals for the Ark; Dan a geologist and impassioned pro-science activist who blows the whistle on the Ark’s discriminatory hiring practices; and David a young former creationist who mowed lawns to raise money for creationist causes in his youth. 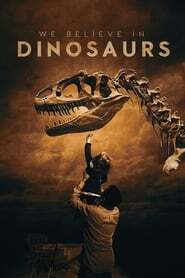 A jarring cultural examination in the vein of Jesus Camp, We Believe In Dinosaurs explores the complicated relationship between science and religion by peering into one of the most prominent cultural “bubbles” in the United States today.